This post is difficult to craft. I’ve been struggling with whether to write an epic post describing the history of glutamate imaging, the major advances and players in the field and where I fit into it, or a simple post focused on my new paper. Since glutamate imaging is my field, I’ve got tons to say about it, but also there is probably no way to avoid significant personal bias in my account. So, I’ll go with the short form. For those interested in further reading, please check out these earlier reports, including our brief mention of neuronal glutamate measurements with GluSnFR prototypes, neuronal glutamate measurement with FLIPE and the optimization of FLIPE constructs from Wolf Frommer’s group, and the use of FLIPE’s in brain slice to look at broad patterns of glutamate release from the Huguenard group. 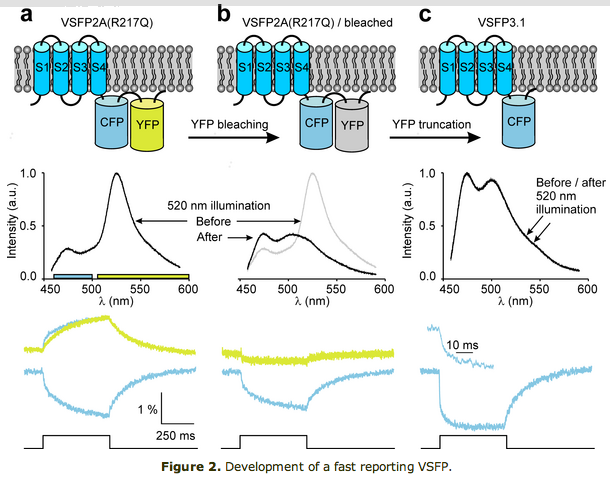 In this PNAS paper, Optical measurement of synaptic glutamate spillover and reuptake by linker optimized glutamate-sensitive fluorescent reporters, by Hires et al. 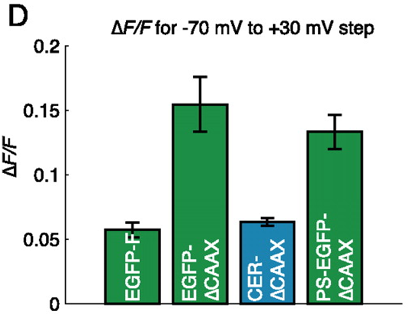 from the group of Roger Tsien, the authors report on the optimization of GluSnFR, a genetically-encoded Glutamate Sensitive Fluorescent Reporter, and its application to the study of glutamate spillover. A cyan and yellow fluorescent protein bracket a glutamate periplasmic binding protein. 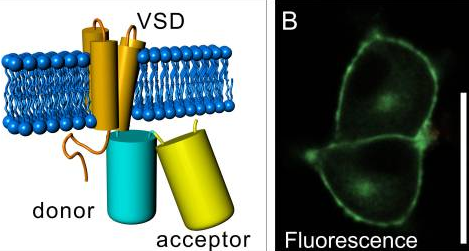 Glutamate binding to the PBP causes a conformational change and a reduction in the amount of FRET between the fluorescent proteins. Glutamate concentration can be quantitatively determined by observing the ratio of the blue to yellow fluorescence. 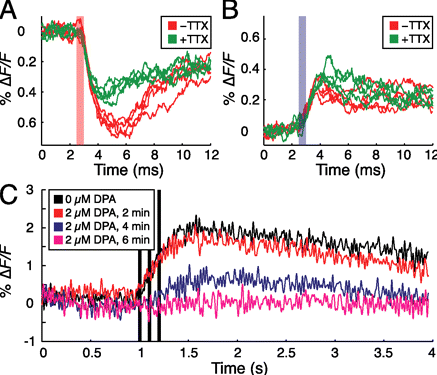 When fused to an extra-cellular membrane targeting motif and expressed in neurons, optical responses to synaptic glutamate release were detected. FRET constructs are very fickle, with their response being very sensitive to how the sensor components are fused together. This paper clearly demonstrates this, as 176 linker combinations were screened for maximal ratio change and only one was far superior to all others. The optimized SuperGluSnFR showed a 44% ratio change between zero and saturating glutamate levels in Ringer’s solution, a 6.2-fold improvement over the original prototype. Importantly, the screen took place in a system, HEK cells with surface displayed GluSnFRs, that was physiologically similar to the neuronal system where the sensor was ultimately used. 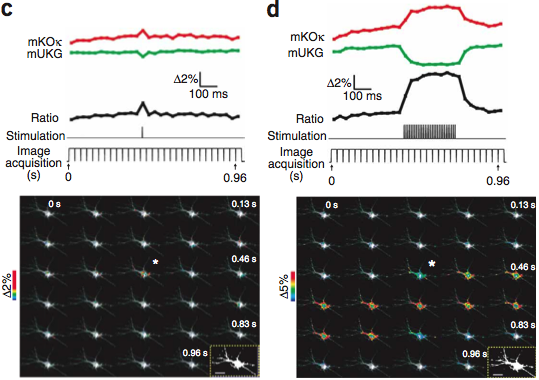 This ensured that the screen discovered useful improvements, rather than ones that worked great in the screening system, but did not express or respond well when expressed in neurons. Previous glutamate sensor optimization in bacteria lead to large responses in vitro that did not translate well when ported to surface-displayed plasmids. Note though that this optimized sensor, FLI81PE, has found use when bath applied to brain slice. SuperGluSnFR was used to address questions about glutamate spillover. Under what conditions might glutamate spill beyond the synaptic cleft? How long does this spillover last, and what effects might it have? The paper makes the first direct, quantitative measurements of the timecourse of glutamate spillover. 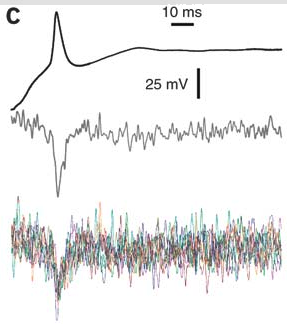 It shows that, at least in cell culture, spillover following burst stimulation can cause a significant glutamate transient along the entire dendritic surface, not just at the synaptic active zone. After a single action potential, spillover is insufficient to activate any extrasynaptic glutamate receptors. 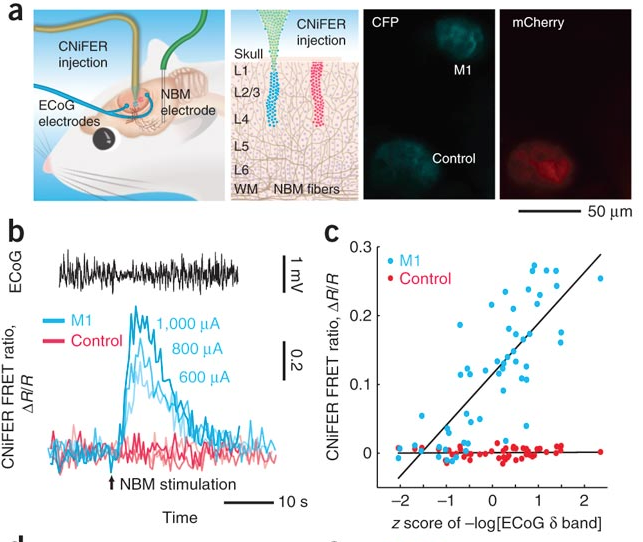 But, after a burst of stimulation, sub-micromolar glutamate levels persist long enough to activate extrasynaptic NMDA receptors. This could have a tremendous impact on dendritic computation, synaptic independence and heterosynaptic long term potentiation or depression. There are two significant limitations to the conclusions of this paper. First is that the experiments were done in dissociated hippocampal culture at room temperature. 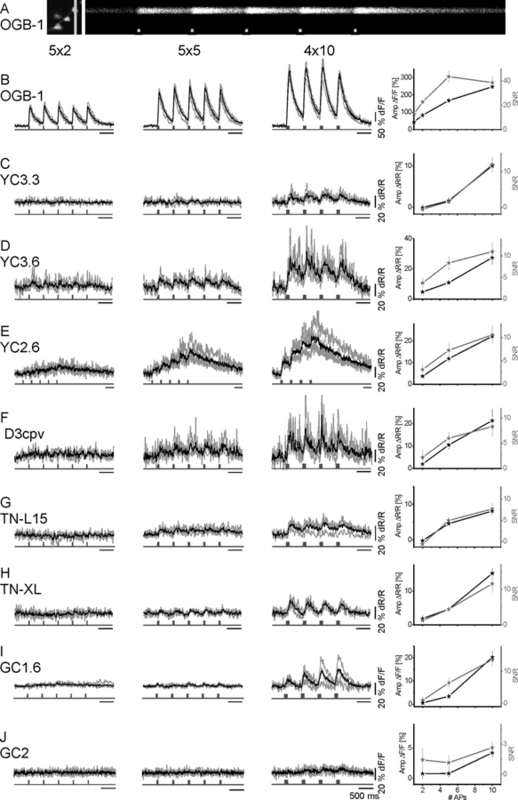 Glutamate transporters are faster at physiological temperatures, and the geometry of the neuropil in vivo might reduce the impact of spillover. Secondly, there is no electrophysiology to directly support the NMDAR activation assertion. Hopefully, some other group will pick up this thread and do more rigorous testing. GluSnFR imaging in acute brain slice should be easy enough using in utero electroporation techniques, and many, many labs have the electrophysiology experience needed. I’m tempted to do the experiments myself, but there is simply no time! If anyone would like to try SuperGluSnFR for their own work, send me an email and I’ll be happy to send out an aliquot!